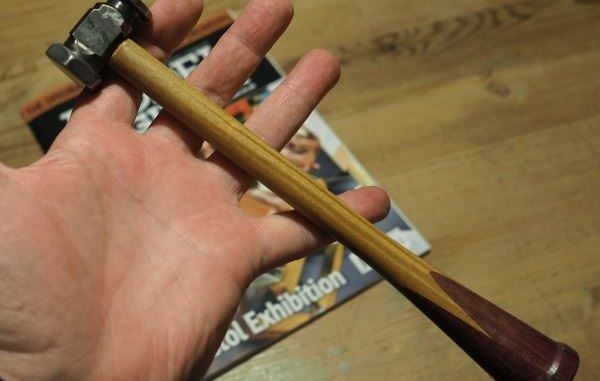 I saw a small homemade hammer on one of the engineering forums and it just made me wonder about making my own, especially as I have a collection of hammers arranged on the wall of my workshop. The head was turned and milled from a piece of hexagonal mild steel. The slot was drilled 9.5mm and then open up into an elongated slot using a 10mm slot drill. Quite an easy machining task when using mild steel. I hardened the faces using EKP case hardening compound. This was then wire brushed clean and polished with fine sandpaper and wire wool. The resultant hammer head weighs approximately 4oz. After some buffing of the hammer head with the wire wool and a polishing pad the head has come up rather well. 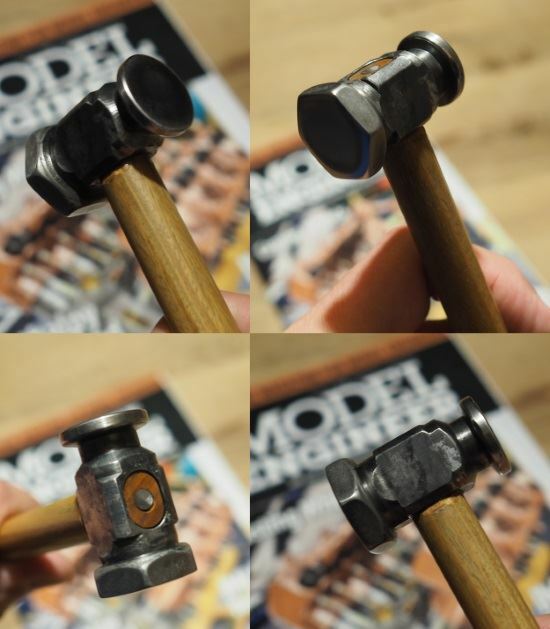 The hammer head is a very tight push fit onto the handle, note the piece of 3/16″ steel that is inserted into the top end of the handle and that goes into the handle approximately 3″, this helps reinforce the handle but also gave me a way of hold the handle in the chuck whilst machining the handle itself. 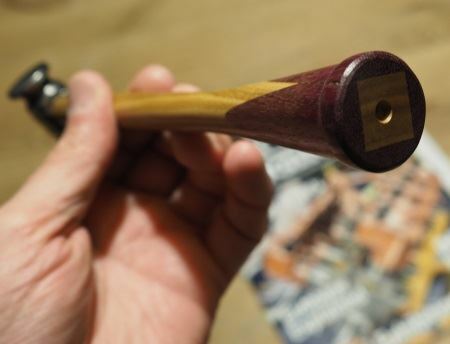 The handle was made from a square piece of hardwood with purple heart additions to bulk out the handle. This was turned on the metal lathe. The result is these rather nice flutes of purple heart. The centre drill for mounting and machining the handle was left. This clearly shows the square centre and how this pattern was achieved. The resultant hammer is so well balanced in the hand that it is a delight to use. That’s a beautiful hammer, Nigel. How have you found the case hardening? 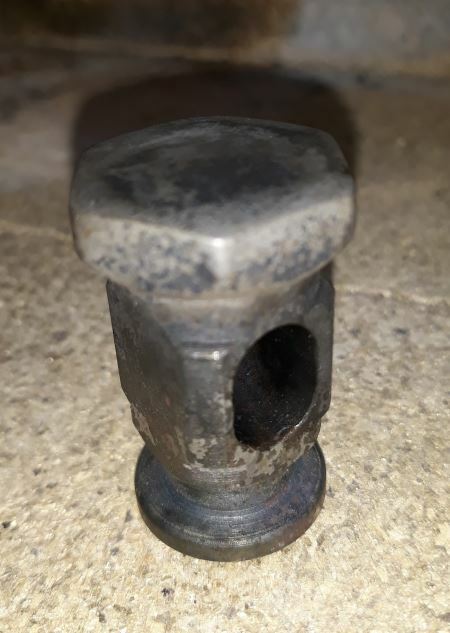 Has it stopped the hammer heads from getting marked or dented?